Pour restrictions d’entreprise nous ne pouvons pas envoyer expéditions. 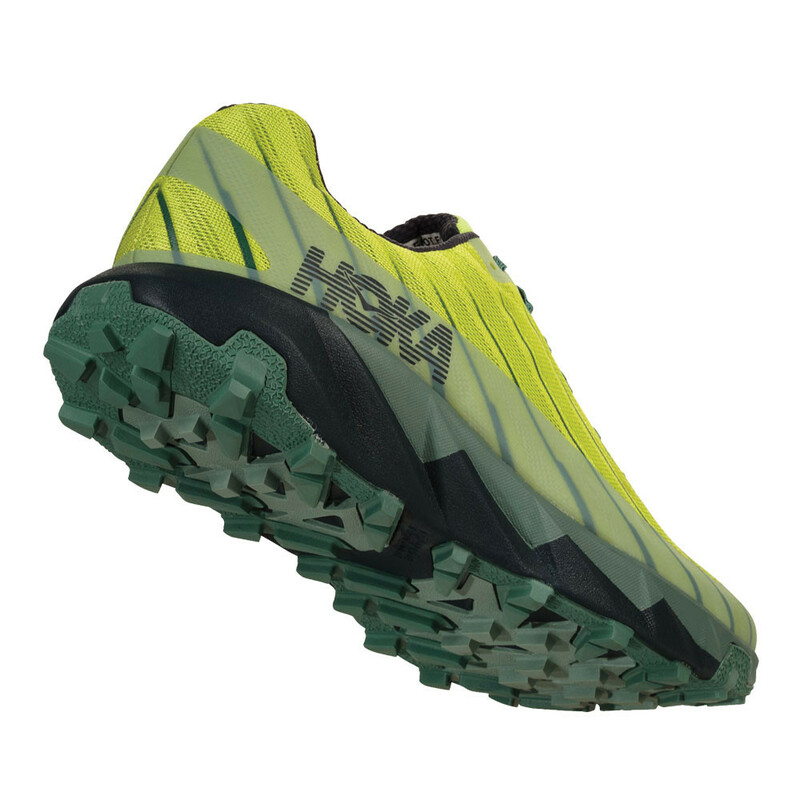 Hoka One One products to the European Union. "Ultra comfy although not tested out in mud yet!" "My first pair of Hoka shoes. I do find them more comfortable than other shoes I've worn. I would like more protection on the upper part for more technical trails." Malheureusement, la description de ce produit n'est disponible qu'en anglais pour le moment. 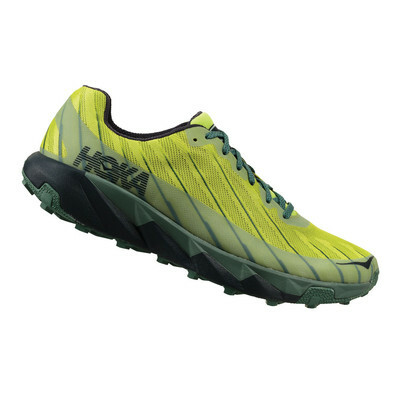 Reach top speeds on the trail with the Hoka Torrent Trail Running Shoes. 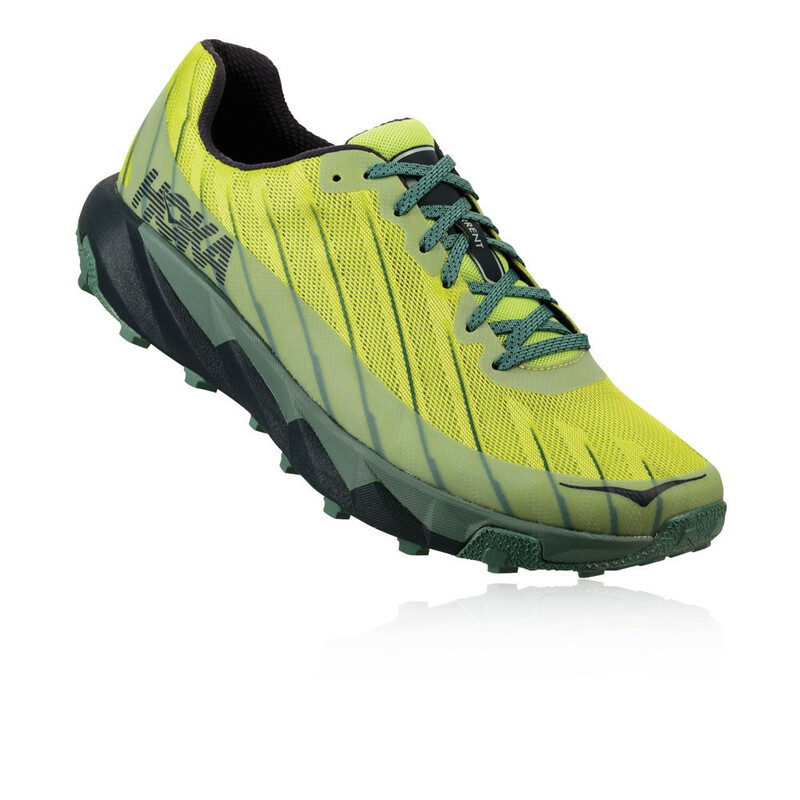 The lightweight shoe has aggressive grip and traction, making PB's easily achievable on your running adventures. Using a lightweight material on the upper part of the shoe, the Torrent has a breathable and lightweight mesh which works to keep the feet feeling fresh and not restricted. Airflow is allowed in and out of the shoe, which keeps the temperature of the feet cool. With moisture wicking properties, liquid from sweat, rain and other wet surfaces is wicked away from the shoe to keep the feet dry and the shoe lightweight. Protective overlays surround the forefoot which stops debris from entering the shoe. Thicker material covering the front of the shoe offers protection to the toes, whilst the heel is kept in place by strong walls. This makes sure the foot remains stable on impact with the ground. Up the foot laces and a padded tongue make finding the right fit easy and comfortable. 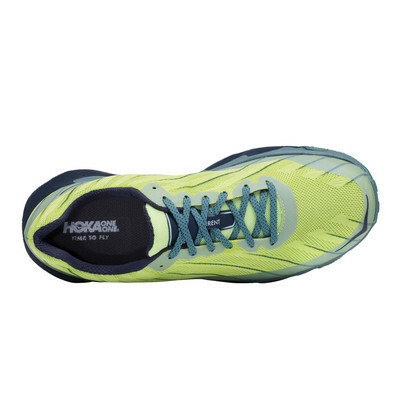 With the addition of Hoka's PROFLY midsole, this brings a solid construction which will not only protect, but will improve performance. The thick material covers the whole of the foot, making sure that all areas are protected from an impact on the ground. Towards the bottom, the midsole material absorbs impacts from bumps and scrapes. Stopping it from reaching the foot, the higher layer of midsole works to counteract these forces, which in turn provides the feet with rebound and bounceback. This will give you an extra spring in your step. 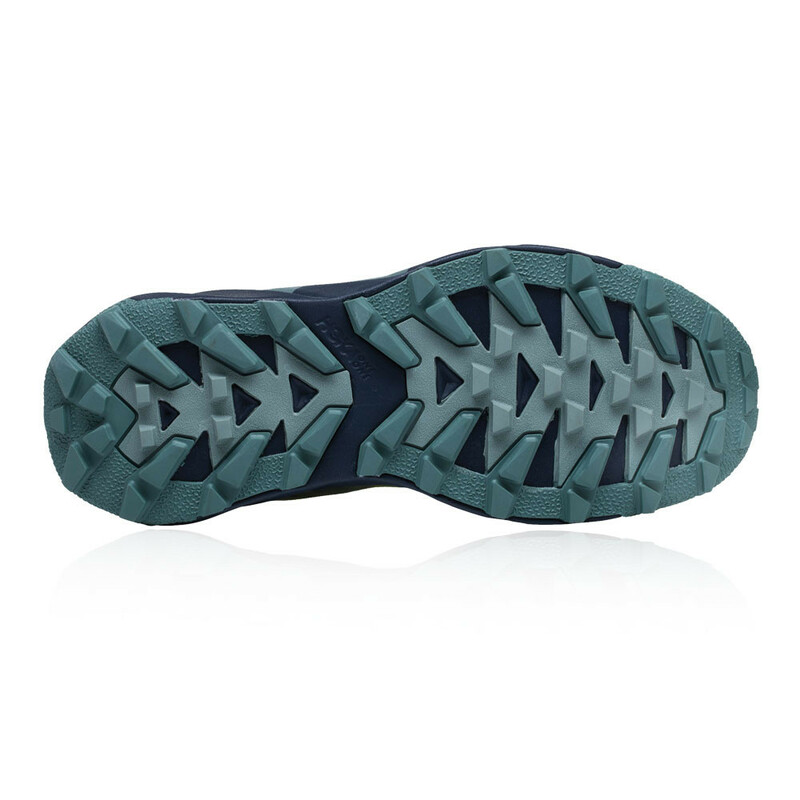 The highly durable outsole is able to maintain its high level of performance no matter what is put in its path. The long-lasting rubber looks after itself when exposed to uneven surfaces, abrasions, and scrapes. There are strategically placed hi-abrasion resistant rubber zones. This assists with certain movements, like takeoffs, landings and sudden changes of direction. In addition to this, these zones are lightweight and contribute to keeping the overall weight of the shoe low. Multi-directional lugs mean that the control of the shoe is even better, as they anchor into all types of surfaces. Breathable Mesh Ventilates the feet to keep them feeling cool. Moisture Wicking Sweat and other moisture wicked away and the material is quick-dry. Protective Overlays Surrounding material keeps debris out of the shoe. Toe Guard Thicker material covering the toes protect them. Strong Heel Walls The heel is held into place by thick material surrounding them. 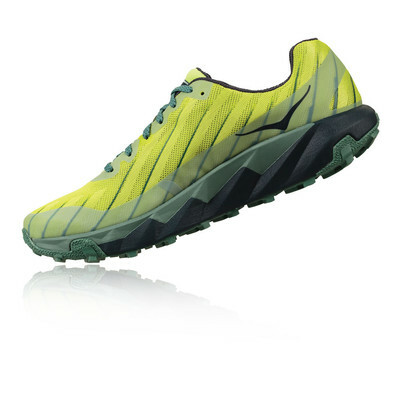 PROFLY Midsole Protective and propelling sole covers entire length of the foot. Absorbent Lower Shocks and bumps absorbed instantly before reaching the sole of the foot. Reactive Top Layer Rebound and spring provided by the top part of the midsole. Durable Outsole Strong rubber maintains shape and strength on impacts. Abrasion Resistant Rubber Zones Assists with takeoffs, landings and changes of direction. Multi-Directional Lugs Anchors the shoe in wet and testing terrain.